 All plant life which covers the ground in a particular area is called vegetation. Based on the type of climate, soil, elevation (the height above sea level), and the soil's ability to hold water, we can distinguish between many vegetation regions. These regions are areas with distinct plant types. Among them, the five which spread across the largest land areas on Earth are forests, grasslands, tundra, deserts, and ice sheets. 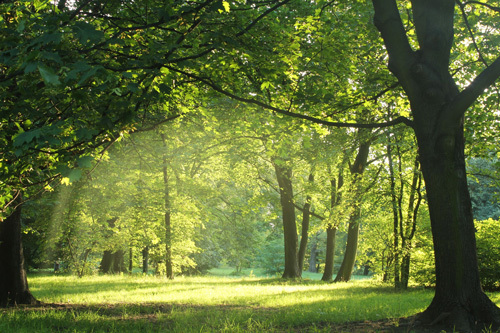 Forests are vegetation regions dominated by trees and bushes. Numerous different types of forests such as tropical rain forests, cool climate forests, and temperate forests, are found all over the world, even close to the Arctic Circle (the area around the North Pole). One way of distinguishing between different types is to look at the trees and their leaves. For example, deciduous (losing its leaves every year) forests' trees have green leaves which change their color in the fall, become red or yellow, and then fall to the ground when the winter starts. The so-called evergreen forests, on the other hand, have trees with leaves which stay green all the time. Because they continuously grow, evergreen rainforests, such as the Amazon rainforest, are especially rich in wildlife, providing a perfect habitat for thousands of animal and plant species. Grassland vegetation regions are dominated by grass. These large, flat, open areas are found on every continent other than Antarctica. The type of grass depends on the climate of the area. 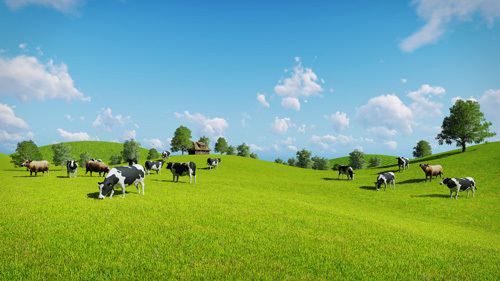 Grasslands are divided into two major types: tropical grasslands and temperate grasslands. 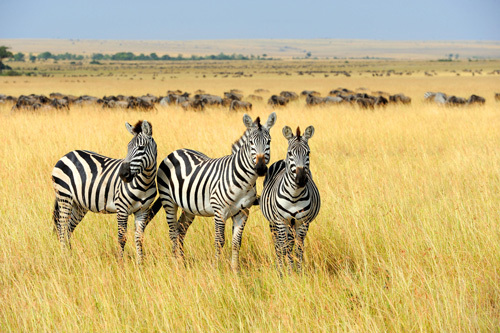 Tropical grasslands are also called savannas, and they are usually found in Africa, where it is warm and dry all year. Temperate grasslands are more common in the Americas. Some examples include the prairies in North America and the pampas in the South. Grasslands support many plant-eating animal species. The reason why grasslands can survive all the grazing is because the grass grows from the bottom, not the tips, so, in fact, it grows more when it is eaten. The vegetation region called tundra is found in cold places where it is very difficult for trees to grow. For this reason, the vegetation in the tundra typically includes shrubs (bushes), grass, and mosses (small green plants without flowers). Because the ground is often too cold for plants to be able to develop their roots, few species live in the tundra. Plants such as wildflowers only appear in the summer. There are two distinct types of tundra: alpine (of the mountains) and arctic (of the North Pole). In alpine tundra, weather conditions are very harsh, with cold winds and snow. One example of such a vegetation region is the mountain range of the Himalayas in Tibet. Arctic tundra dominates the far north of our planet, especially the north of Russia and Canada. The soil stays frozen for most of the year or even permanently (this is called permafrost). 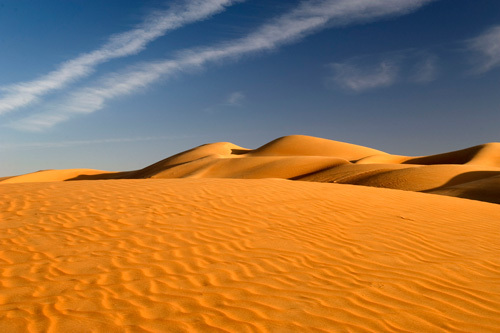 Deserts are a harsh habitat for most animals and plants. This vegetation region is very dry, receiving less than 4 inches (10 cm) of rain a year. Some deserts like the Atacama in Chile never get any rain. The temperatures go from very hot during the day to much colder at night. Because the area is so dry, the soil is often very sandy or rocky. Desert plants, such as cacti (singular: cactus), for example, have very deep and widespread roots, so they can reach any water available underground. They store water in their small leaves and use their prickles (thin, sharp points) to protect themselves from being eaten. Surprisingly, many animal species have made deserts their home. Most of them, like snakes and lizards, are only active at night when the temperatures cool down. Although it is defined as a separate vegetation region, the ice sheet has almost no vegetation at all. As its name suggests, the ice sheet is a large area of ice. It expands over 20,000 square miles (50,000 square kilometers). All this ice was formed as layers of snow did not entirely melt but piled up and grew thicker. This vegetation region is found in Greenland (the largest island in the world, located close to the North Pole) and Antarctica. These two ice sheets alone contain some 99 percent of all freshwater ice on Earth. The ice sheet is very important because, thanks to these layers of ice, scientists are able to monitor the levels of pollution and volcanic gases in the atmosphere. The ice layers can also tell us much about our planet's climate history. 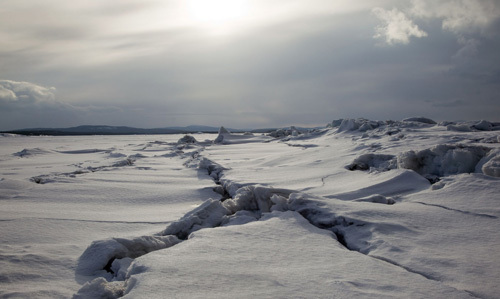 Permafrost is ___________ frozen soil. Scientists distinguish ___________ several vegetation regions. Cacti ___________ water in their leaves. In the ice sheet, the snow ___________ thicker. Scientists carefully monitor the ___________ of pollution. Weather ___________ can be very harsh in the tundra. In grasslands, grass grows from the ___________. Vegetation is responsible for ___________ the carbon cycle. Layers of ice don't melt, but they pile ___________. Humans' social and ___________ lives depend on vegetation. Which vegetation region receives very little rain? When do wildflowers appear in the tundra? What characteristics of soil depend on vegetation? Where is nearly all freshwater ice on Earth found? How do cacti protect themselves from being eaten? All forest trees have green leaves all year-round. Some forest trees have green leaves all year-round. Few species can survive in arctic tundra. 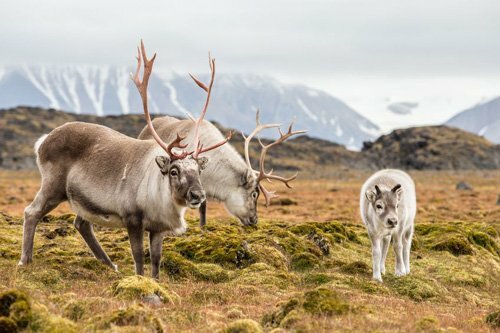 Arctic tundra is very rich in wildlife. "Surprisingly, the ice sheet supports many plant species." "Grasslands are great habitats for plant-eating animals."